Middle School Girls Have 1st Meet! The Rails middle school girls team is made up of 7th and 8th graders from the Southside of Des Moines, Norwalk and Carlisle. Middle school swimming is a short 4 week season designed to give swimmers a chance to compete against other middle schoolers from around the metro. It also allows for new swimmers to see if they like competitive swimming and want to pursue it has a high school sport in the future. 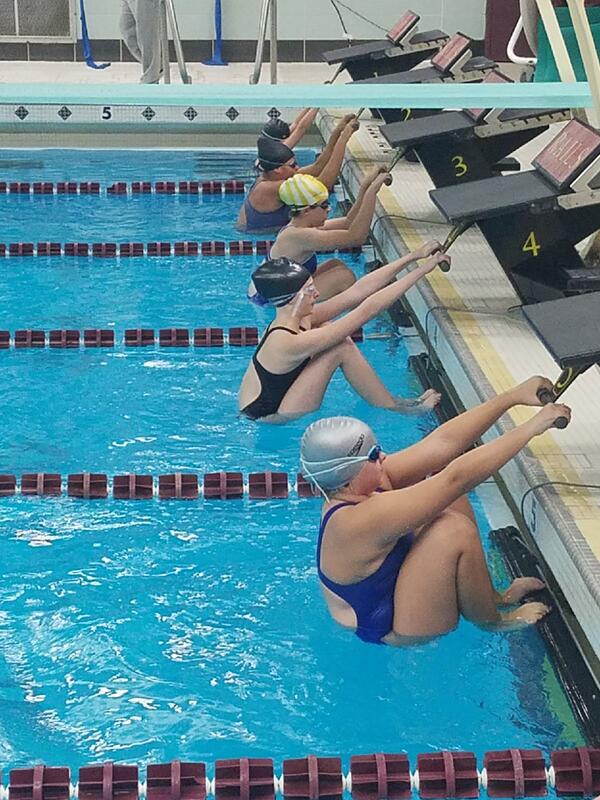 The current squad of middle school girls has many long-time SDMS swimmers on the squad. As such, they are prepared to be very competitive against every team they face. Last night’s meet against Hoover was no exception. The Rails won every race but one and finished with multiple girls in the top six in every event! Below are a few meet highlights from the meet. Here are a few photos from the meet. If you’d like to share additional photos, you can send them to Coach Weber or tag us in social media using Rails Swimming on Facebook, Twitter and/or Instagram.